Using Wild Apricot's admin app and Square's Point of Sale app (formerly Register), you can accept credit card payments from your mobile device and record those payments in your Wild Apricot account. Square provides financial processing services and a card reader attachment for mobile devices. You can only use Square to record a one-time manual payment. You cannot set up recurring payment profiles using Square. Paying using Square is not available for free accounts. After you've installed the Square POS app for Android or iOS on your mobile device, you need to launch the app and log into your Square account. 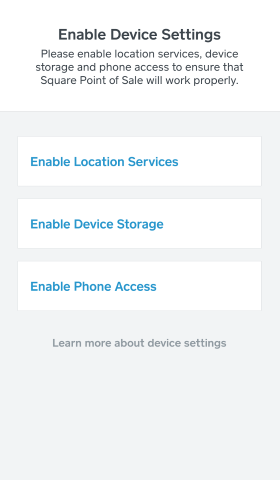 When you first launch the Square POS app, you'll be asked to enable various device settings. You should enable each of these settings. Do not enable the Skip receipt option within your Square settings. Enabling this option will prevent Wild Apricot from receiving a payment confirmation from Square. Once you are finished, you will be taken to the main Square POS screen, at which point you can close the Square POS app. Now that you have set up the Square POS app, you can accept credit card payments from your Wild Apricot admin app. 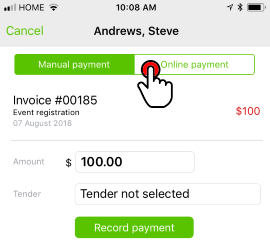 Check in an event registrant with payment, or tap the Pay button from a contact's Finances tab. Tap the Online payment tab. Tap the Use Square POS button. ...then enter the credit card details or use the card reader to swipe the card. Once you complete the transaction, tap anywhere within the Point of Sale app and you will be returned to your Wild Apricot app. The payment details will be recorded in your Wild Apricot account. Within the payment details, the Square Up transaction ID will be recorded in the internal notes. Refunds processed through Square for payments made via the Wild Apricot app will not be automatically recorded in your Wild Apricot account. On the Record payment screen that appears, tap the Use Square POS button. 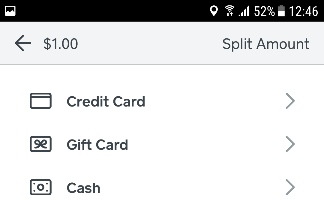 Can I set up recurring payments using Square POS? No. You can only use Square POS to record a one-time manual payment. Can I use Square to accept payments on the browser version of my Wild Apricot site? No, Wild Apricot sites can only accept payments using Square from the Wild Apricot mobile app. Is the Square POS app available worldwide? No. Currently, you can only use the Square POS app in the US, Canada, UK, Japan, and Australia, though Square plans to support additional locations. How much fee do you charge per transaction? Wild Apricot does not charge any fees, but Square does. 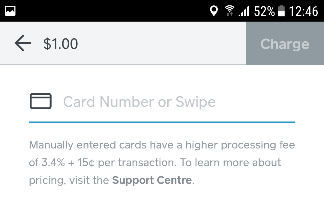 It’s a 2.75% for swiped transactions and 3.5% + 15 cents for manually entered cards. For more details about Square’s fees, see here. What do our members/registrants need to do to make a payment? They only give you their credit card or card details. The payment requires no additional actions from the cardholder.